I have a passion for hunting and have been an outfitter/guide for over 19 years. I live in the hunting area and know the area and animals well. I spend the off season and early seasons scouting giving hunters a better opportunity of harvesting trophy whitetails and moose. As a professional Alberta hunting outfitter, I am known for having a keen sense for deer and moose and a dedication to hunters’ success, which is why most of our clients are returning hunters. My guides and I will give you 100 %! 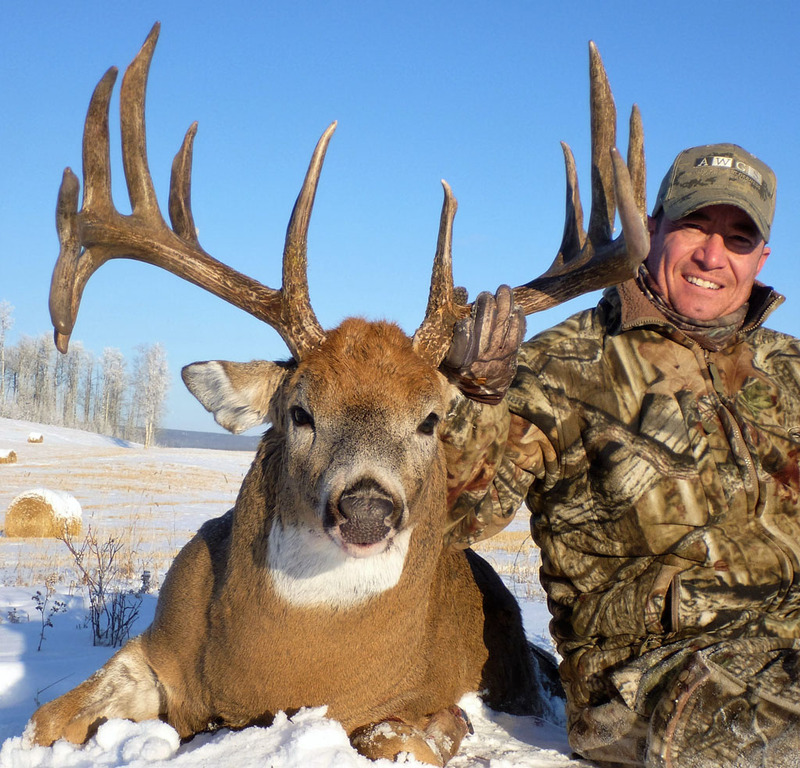 We recognize the value of this potentially once in a lifetime adventure, and as a result have specifically designed this experience to indulge the patience and persistence of a genuine hunter.Prepare yourself for an unforgettable Alberta whitetail deer hunting and moose hunting experience! Call me to book a hunt today! You will have a great opportunity to have up close and personal experiences during our moose bowhunting season when bulls come crashing in to investigate our cow calls! Archery whitetail deer hunts are conducted on private land during the early bow season. It’s not unusual to harvest a buck in velvet at this time of year. There are over 1 million acres of land in our whitetail hunting area! This means lots of territory to cover and lots of habitat for your dream whitetail to grow to trophy size! We focus on making sure your hunt is organized, well prepared, and your hunting experience is one of a kind. No baiting here! 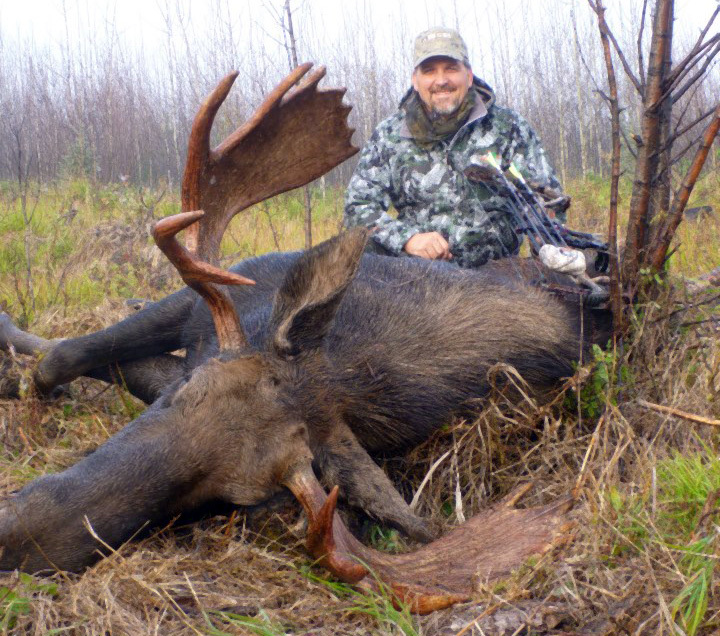 Our moose and whitetail hunts are spot & stalk only in the wilderness of west central Alberta, Canada. Our lodge has comfortable bedrooms, three bathrooms, satellite TV, WiFi, home cooked meals, and many other comforts of home. we do not deceive potential clients and have no surprises or no hidden charges. We provide a superior hunting experience at a fair, honest price. Hunt locations are selected using a variety of methods including, aerial photos, ground work, and trail cams.